Born Melbourne 1956, Paul started painting in his early teens primarily influenced by the work of renowned Australian artist Sir William Dargie C.B.E. who was to become his friend and mentor. Since then Paul has made a 40 year full-time a career of painting in the tradition of tonal impressionism, working mostly in oil. Educated at Scotch College, Paul studied Fine Art at RMIT. He was awarded the Camberwell Travel Scholarship for European Study in 1986 and undertook extensive private study under the guidance of several leading artists 1973-79. Paul has travelled widely, studying and painting in Europe on various occasions. He has exhibited regularly since 1976 and has held 6 major solo exhibitions. In addition to his own painting Paul has conducted adult painting classes and workshops since 1977 and has judged countless art competitions throughout 5 States of Australia. He founded the Balwyn Oil Painting Group in 1978 and Moonee Valley Painting Group in 1981. Both groups continue today with enthusiastic members and wait-lists, and he maintains a strong following of painters, students and collectors. Paul served 11 years as Chairman of the Judging and Advisory Panel of the A.M.E. Bale Scholarship and Art Awards - the $50,000 scholarship being Australia’s richest award for traditional painting. He was Chairman of the TASART Judging Panel, Burnie, Tasmania in 2010 & 2016, Victor Harbor Art exhibition, South Australia in 2008, and is past Chairman of the Herald Sun Camberwell Rotary Art Exhibition Judging Panel (2002). Paul has also held various judging appointments for the Royal Art Society of NSW in Sydney, amogst many others. 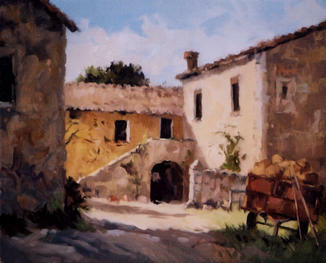 ﻿He is frequently invited to lecture and demonstrate painting techniques to art societies and interstate workshops. 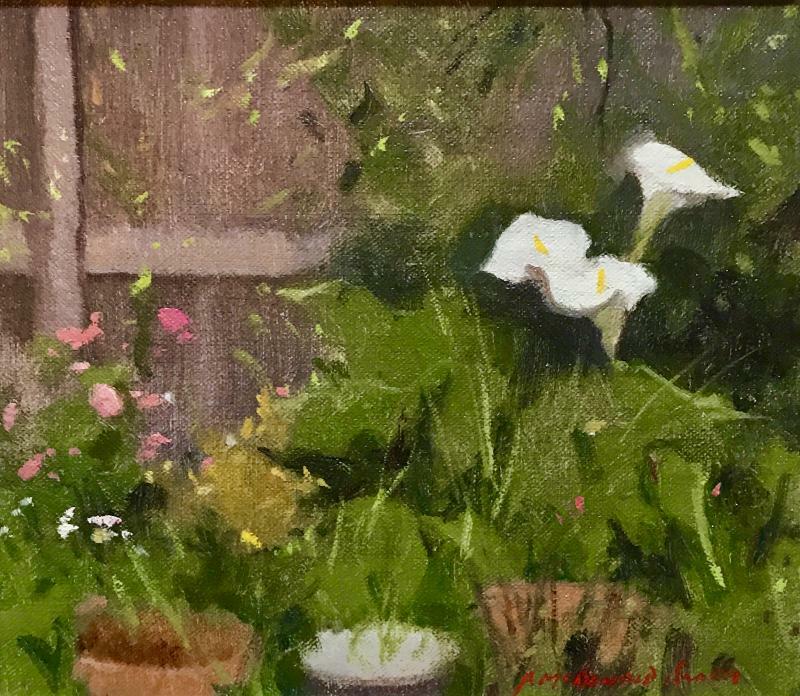 Known for his colourful oil paintings of flowers and still-life, Paul’s work is painted directly from life and includes landscape, portrait and figure painting. His work has won many awards including the coveted 'VAS Artist of the Year Award' in 2001 and can be found in Public, Corporate, Regional, Institutional and Private collections throughout Australia and overseas. Named in the Queens Birthday Honours List in 2005, Paul was awarded the Medal of the Order of Australia (OAM) for services to the Visual Arts as a painter and lecturer. In 1997 Paul was invited to membership of the prestigious Twenty Melbourne Painters Society Inc., and he served as President of that Society from 2003 to 2013 and Vice President in 2018 - the TMPS Centenary year. In 2018, TMPS members invited Paul to write a history of the Society to commemorate its 100th anniversary. The publication "Mavericks and Masters - Centenary of the Twenty Melbourne Painters Society - 1918 - 2018" traces the story of the group and its illustrious membership, and was launched at the opening of the 100th annual exhibtion in August 2018. Paul is an Honorary Life Member, Fellow, Tutor, President (1998-2003) Councillor (1992-'98), Trustee, Editor, Norman Kaye Memorial Medal repicient (1998 & '99) and Signatory of the Victorian Artist Society, where he has been a very active member since 1976. Paul served 5 years as the 29th president of the Victorian Artists Society, which is one of Australia's oldest cultural institutions (est.1870). Elected the Society's youngest president in 128 years, he oversaw major restoration of the grand facade of the society's unique purpose built home (1890) in Albert St., East Melbourne, to original specification. Paul was chairman of the VAS Distinguished Awards Committee which he continues to advise, is a past member of the VAS Bottle Brush Club and has taught oil painting in the Society's historic studio continuously since 1990 . Elected a Fellow of the Royal Society of Arts, London (1999), member of the Order of Australia Association (2005) he has been appointed honorary member of several regional arts organisations including: the Glen Eira Cheltenham Art Group Inc. (past president 2002-'04) where he tutored for over 40 years, the Hobson’s Bay Art Society (1984) and was awarded Life Membership of the Box Hill Art Group Inc. in 2017, in honour of 30 years service as tutor. "90 Years of the Twenty Melbourne Painters Society"
"Mavericks and Masters - Centenary of the Twenty Melbourne Painters Society, 1918-2018"
State Library of Victoria - Archives of Australian Artists. State Library of Victoria - Oral History Interview. Archive DVD Recording. Numerous Newspaper articles / references and television, radio and print media interviews.